Got socks? I’m looking for 400+ pairs of warm socks to give to the folks in need who gather for Shared Breakfast every Sunday morning at First United Methodist in Seattle. If you have contacts with any retailer who might want to donate new warm socks, please let me know. I’m not afraid to ask-got to try, right? 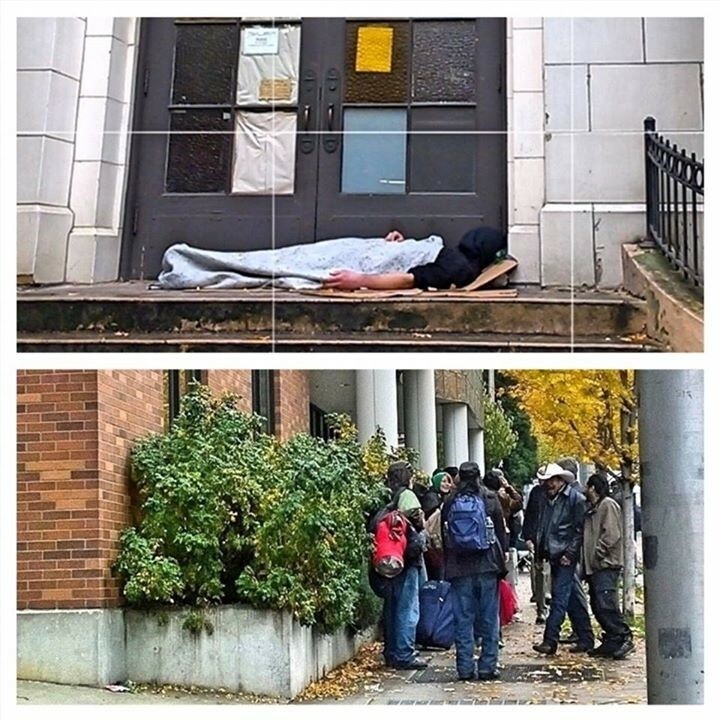 Warm feet and a warm belly are fulfilling basic needs for people living on the streets of Seattle. I was lucky enough to serve 330 people a warm yummy breakfast of fresh scrambled eggs, sausage, biscuits & gravy with oj/coffee and hot or cold cereal last Sunday. Thirty or so volunteers, some experienced and others like me learning the ropes, served each individual with respect and warmth from 7:30 a.m. to 10:30 a.m. Thom was on compost duty and I not only waited on tables but graduated to the kitchen line getting the food out while it was hot and delicious. The gal running the show knew her regulars and made sure special requests like no meat or no dairy were quickly addressed. She was even vigilant in ensuring the presentation of the plates was perfect, sending back a few where the eggs got dropped on top of the sausage by mistake. This was a well-run operation from start to finish with compassion and hard work to serve those arriving in three waves for service. Chatting up the fellow volunteers, I met a group of teens who went to school on Mercer Island. James was a Senior who hoped to get into Stanford for college. He had a big smile and worked quickly to do whatever was needed on his first volunteer assignment. I believe he will go far with that type of servant leadership mentality. The very capable lady running the grill churned out scrambled eggs by the tubful while simultaneously stirring the hot homemade oatmeal, ensuring it was seasoned well with cinnamon before going out to the floor in huge bowls to be served. She is the volunteer driving the sock distribution on Thanksgiving. If I can’t find a corporate sponsor, I will do my share and pitch in with a personal donation. Luckily, my company matches 501(c)(3) donations so I can get double the bang for my buck to support them. What a great company I work for-not only do that do that but they also will pay any place I volunteer $25/hour to the organization when I log my time. Imagine if every company was so generous what an impact we could make in our communities??? I also was able to take advantage of some new items like t-shirts and backpacks that weren’t going to be used by my company to support a donation drive for YouthCare in Seattle, which supports teens from 12-24 who are homeless and in need. Imagine their delight when they see these game-logo items plus the RockBand unit I also was able to donate to the center. I am hoping to pull together a group outing for my business co-workers and do a gaming party for the teens soon. I’ve done this before and it is always a huge hit! Thom and I both felt it was time to give back to our neighborhood. We’ve been back a year now from China and settled into our new home and new job after a year of hectic travel. Thom has reached out to the local non-profit radio station to volunteer to do photography, his passion, in addition to supporting Shared Breakfast. I will also continue to support Shared Breakfast by learning how to do grant writing and seeing if we can provide a more reliable stream of donations so that we never have to worry about feeding those who are hungry. Hannah is taking a stand against guns. My daughter and son grew up assisting us in volunteering and have such huge hearts to help others. 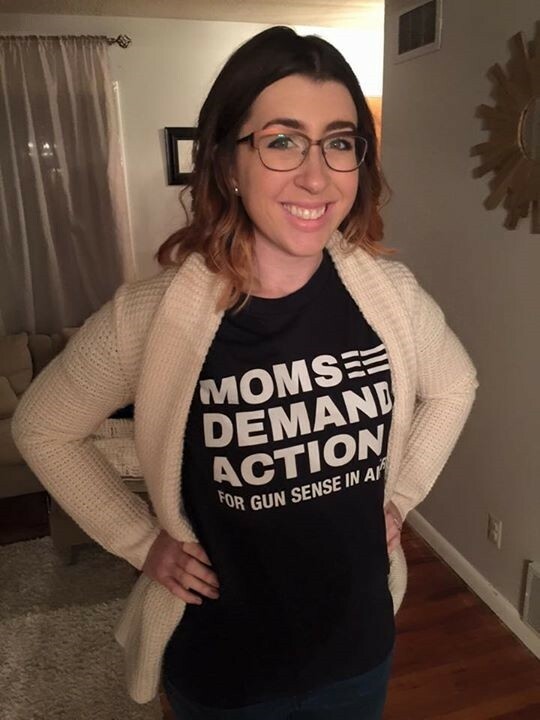 Hannah just took on a volunteer post as the Idaho Chapter Leader with Moms Demand Action to Gun Sense in America. It’s sad that guns are so prevalent and parents need to quiz other parents about their gun safety in their homes before allowing their children to visit but it is the reality of life here in the U.S. I know Hannah will make a difference and even if she saves one young life with her message, that is HUGE. I am so proud of her.